Estelle opened Brighton Beach Dental in 2008 with the aim of bringing state-of-the-art dentistry services to Perth’s northern suburbs. Having four children of her own, Dr Swart understands the importance of developing good dental health habits early in life. In order to change the perception of dentistry that many people have grown up with she has created a family dental practice with a warm, friendly and calming atmosphere. 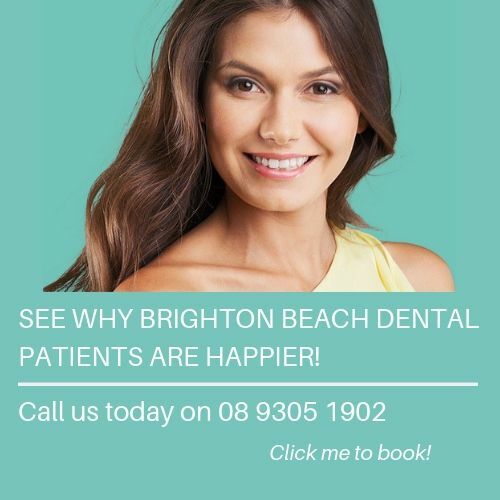 Richard joined Brighton Beach Dental in 2014. Richard is very well known in the northern suburbs of Perth as he previously owned dental practices in Kinross and Currambine. In his spare time, Richard enjoys travel, spending time at "Rotto" with his family and is quite a coffee connoisseur! Dr Carika Rossouw qualified at the University of Pretoria, South Africa in 1999. She emigrated with her husband and 2 sons to Australia in 2011 where she began working for the Pacific Smiles Group and also for a private practice in Newcastle, NSW. Carika then moved to WA in 2015 working at a dental practice in Geraldton before joining the Brighton Beach Dental team in early 2017. Carika enjoys all aspects of dentistry and is particularly patient when it comes to explaining treatment to an adult patient or young child. One interesting fact about Carika is that she managed to save a ( sedated) one-year-old leopard’s molar tooth by completing a Root Canal Therapy. Stephanie passionately provides a high standard of care that is personalised to each and every one of her patients. Stephanie’s gentle, friendly and approachable nature will instantly make you feel warm and comfortable. She is able to communicate with Burmese and Mandarin-speaking patients. She has a special interest in adult short term orthodontics and has won a platinum award in Quick Straight Teeth TM. Stephanie keeps fit by swimming regularly. It won’t take long for you to figure out that she has a passion for travelling. You can expect to be entertained with stories of her travelling adventures! On top of her busy schedule, Stephanie finds time to volunteer for a dental charity, providing free care to homeless people and refugees in Perth. Laura joined the Brighton Beach Dental Team over 4 years ago and has been residing in sunny Australia since 2007. She qualified as a hygienist in the UK 15 years ago and is mother to gorgeous twins. Laura is also an avid gym member where she spends most of her time if not with her family. She partakes in yearly bodybuilding competitions, health and fitness being her passion, along with teeth of course! Sue has been a dental hygienist since 1997. She started her career in South Africa as a hygienist as a result of her love for the medical field and helping people stay in good health. In her spare time, Sue looks after her three boys, all of which are in school. Sue is also a talented creative type, enjoying baking and painting. Sue doesn’t just focus on her dental health, she also keeps physically healthy by keeping up an active jogging routine. Mary Ann joined the Brighton Beach Dental team in June 2014 as a full-time Dental Assistant. A Philippine trained Dentist, she shifted to Dental Assisting in 2009 when she moved to Perth, where she now lives with her husband and their daughter. She is happy to be a part of Brighton Beach Dental’s friendly team and enjoys contributing to their quality patient care. Heloise holds a Cert 3 in Dental Assisting from Western Australia of Institute of Further Education (2016) but has been in the dental industry for the past 5 years. She is currently studying Oral Health Therapy at Curtin University. She enjoys travelling, having been to Japan and multiple countries in Europe. Her favourite part of being in the profession is seeing patients’ positive experiences change their negative perception of the dental world and improving their overall oral health. Ivannia is a qualified dental assistant who recently joined our team in January 2019, specialising in assisting with oral surgery procedures. She was born and raised in El Salvador and moved to Australia in 1991 with her wonderful husband and 4 beautiful children. Ivania’s passion for people ensures that her patients are comfortable and at ease. In her spare time she works alongside her husband and children as ministers and takes a word of hope to those in need through missionary trips to various nations. Penny worked as registered medical nurse in China and then decided to study dental nursing when she moved to Australia in 2010. She has worked in general dentistry for many years but worked in a specialist surgery practice for 5 years. Penny is a bright and bubbly person who has a passion to help people, comfort them and put a smile on their face. In her spare time she takes care of her lovely twin girls and enjoys walking and running along the beach at weekends. Born and raised in sunny South Africa, Rene' and her family made their move to Australia in 2011, ready to begin their new life "down under". She is married to a wonderful man and is a mother to two handsome boys - she says she is not biased, she just loves her family to bits! Rene' has always been involved in administration, particularly focussing on customer service. Previously, she worked in a dental practice in Sydney for 18 months where she was introduced and trained in front office for dental. Rene' moved to Perth in Dec 2013 where she continued her dental journey and joined us in December 2017. Rene' loves meeting and chatting to our patients, old and new, and hopes to make their experience with us as comfortable, efficient and enjoyable as possible. Sam joined our Brighton Beach Dental team in March 2018 as a front office coordinator. Sam and her husband moved from the UK to Australia in 2011 and has worked in the customer service field for over 20 years and the last 2 years of that have been within the dental industry. Sam has a bright and bubbly personality and always welcomes our patients with a cheery attitude and a big smile. She is passionate about her position and provides our patients with excellent customer service. When she isn’t in the surgery Sam enjoys yoga, meditation, walks on the beach and spending time with her hubby and friends.